Another type of out of collar coin error is the ‘ramstrike’ or ‘high lip’ coin error. This sort of error occurs when the planchet is partially off-centre or out of alignment when the coin striking process starts. As the hammer die moves down to strike the coin part of the planchet is retained against the top of the collar and the rest of the planchet is driven down into the collar against the anvil die. This results in the retained part of the planchet being stretched vertically giving an unusual high lip on part of the rim of the coin. 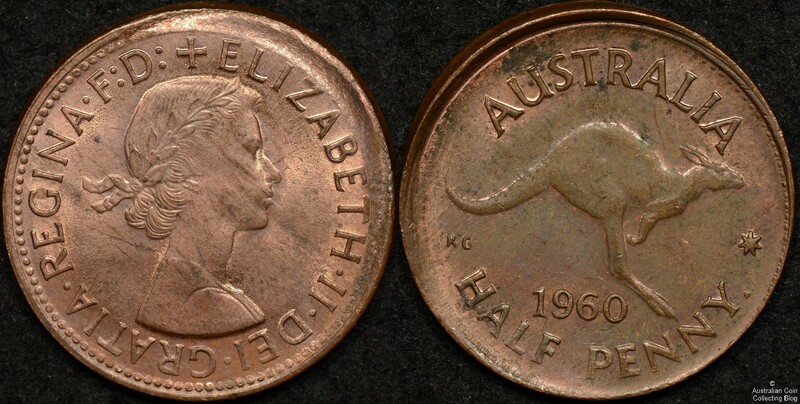 Certainly for Australia pre-decimal coins, the ramstrike, or high lip error is not as common as the normal broadstrike, but when you can find one they are spectacular errors. Ramstrike errors are often characterized by one side (usually the obverse) being heavily worn while the other side (which is protected by the high lip) is in much better condition. It’s also fairly common to see one side of these types of errors with a large scratch or mechanical damage. It’s postulated that this happens because the coin jams the coining press and has to be manually removed by a press operator using some sort of pointed tool that damages the coin. As always with any type of error, look to purchase these coins in the best condition available, and without the mechanical damage that so often plagues them.